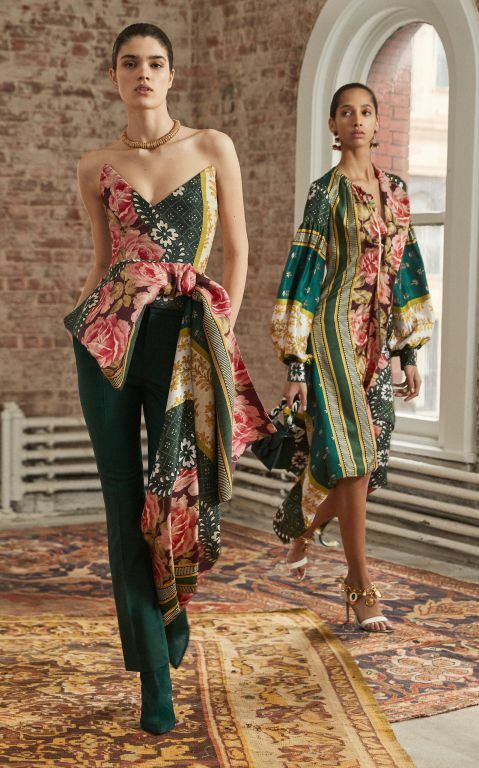 Double-height spaces bring the drama into an interior like nothing else. 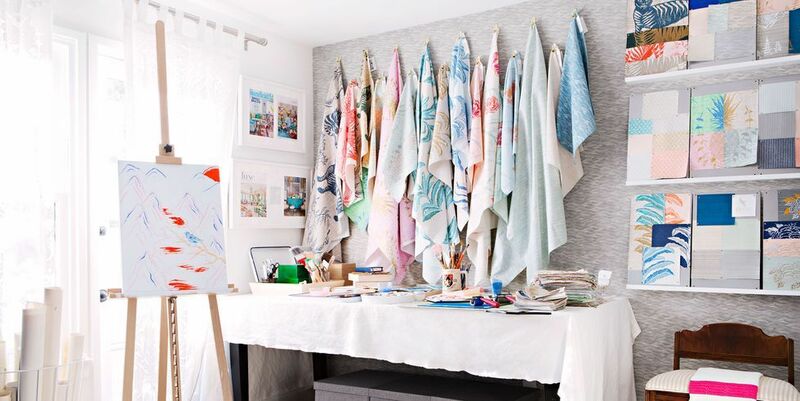 Often reserved for living rooms or great rooms, this architectural feature can also create a big impact in the kitchen. 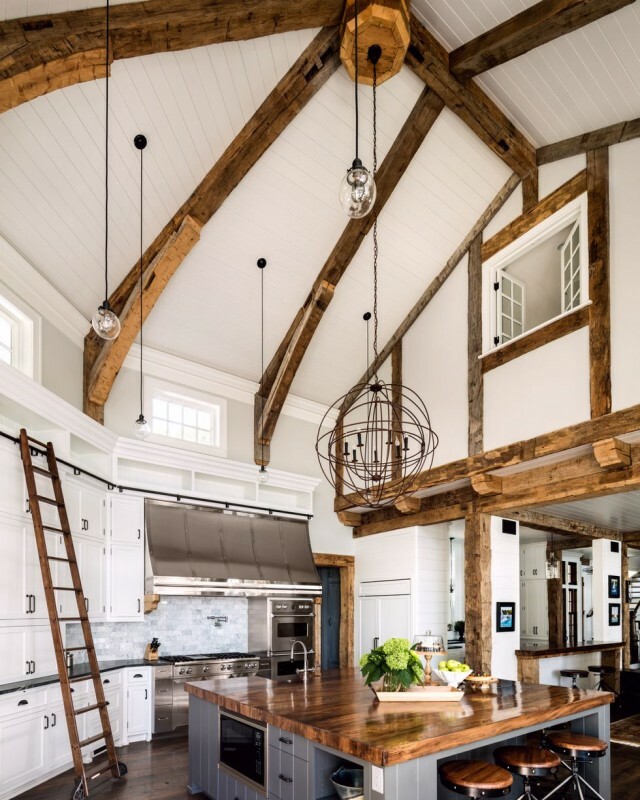 If the idea of a kitchen with soaring ceilings excites you, these 25 double-height stunners will blow you away. 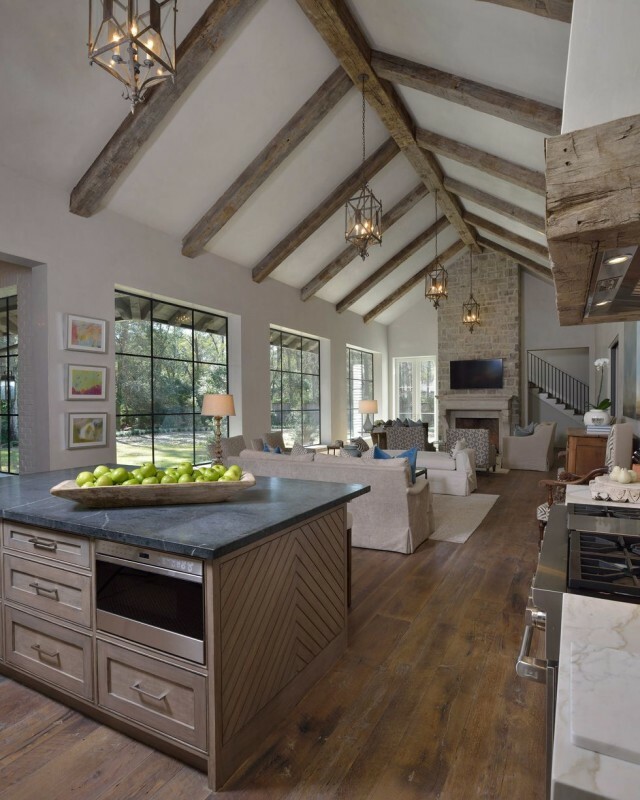 A modern farmhouse from Harrison Design uses soaring ceilings for a dramatic effect. 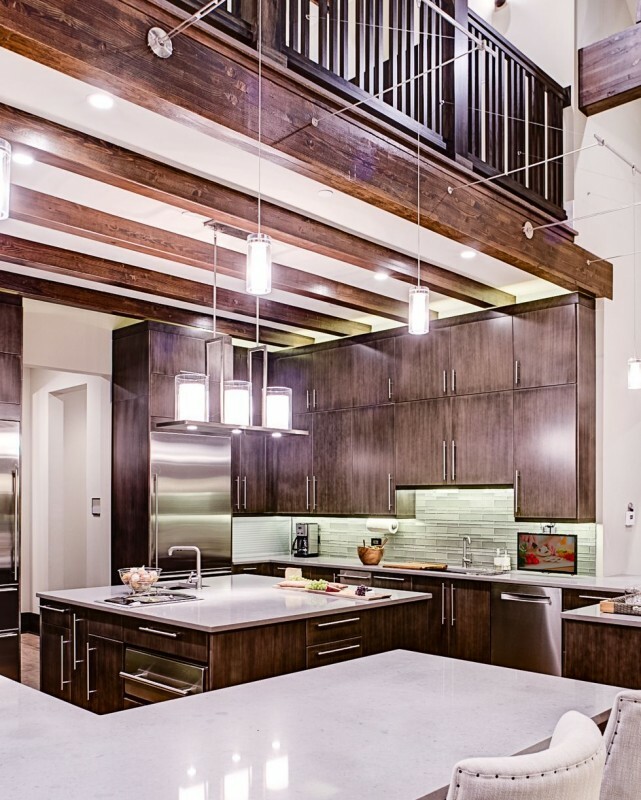 Heavy timber beams offer an eclectic vibe in a kitchen by Wade Weissmann Architecture Inc.
Creative shelving provides a unique detail in a high-ceilinged kitchen from Wade Design Architects. 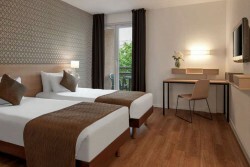 Bright red walls update a neutral-toned space with wood ceilings from Vani Sayeed Studios. 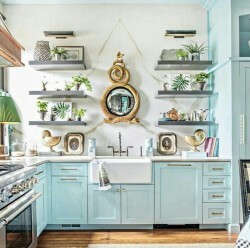 Layers of shelving and other details break up the expansive wall space in this white kitchen from Elena Calabrese Design & Decor. 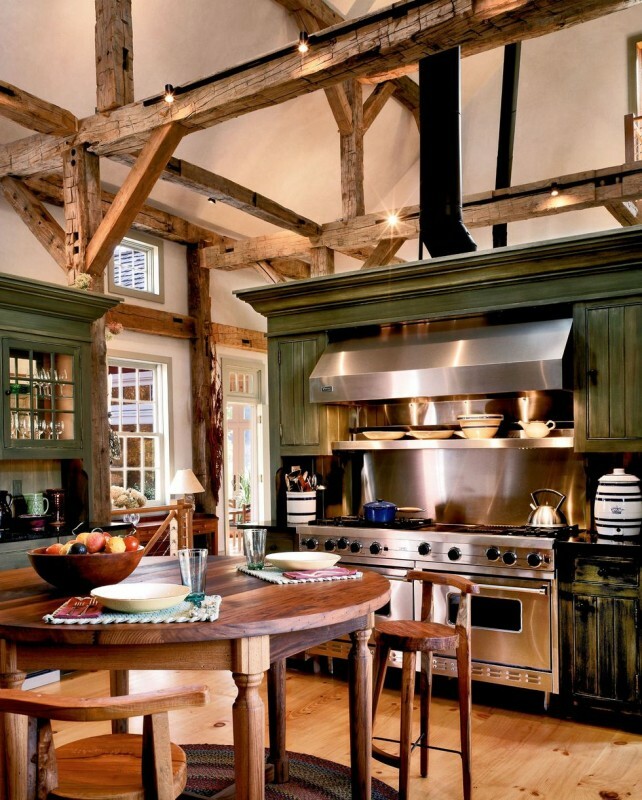 In a traditional French-style kitchen from The Refined Group, pale wooden beams brighten up a white ceiling. 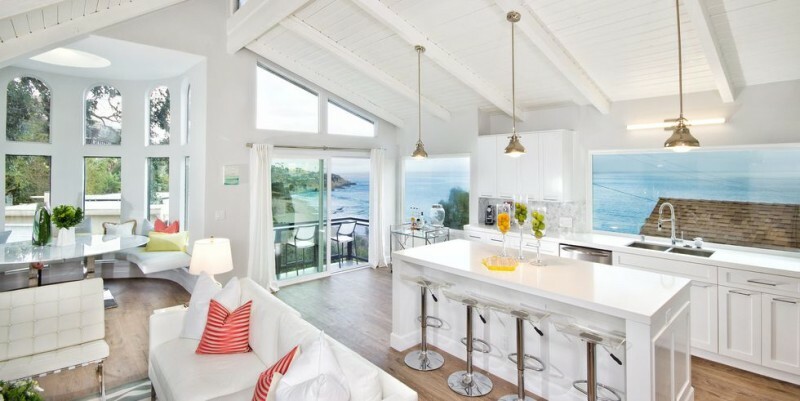 In Laguna Beach, a nautical-themed kitchen from Payton Addison Interior Design Atelier relies on hints of metal and striped details. 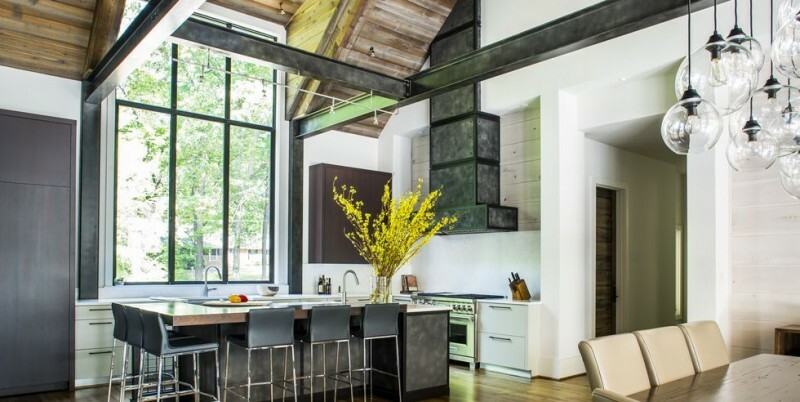 A dark kitchen from Charles Cunniffe Architects uses an unconventional range hood and duct to achieve an inspired look. 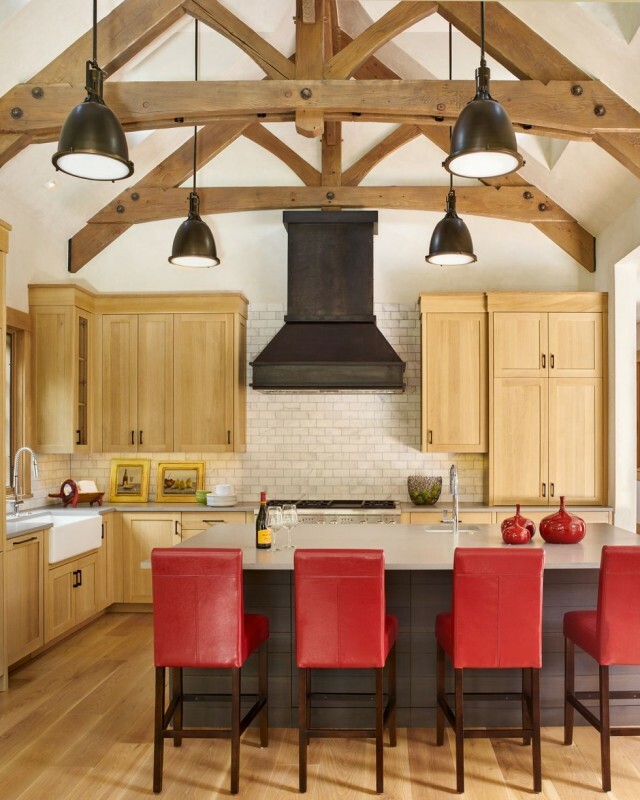 Red chairs are a unique touch in a kitchen by Brewster McLeod Architects with light wood accents. 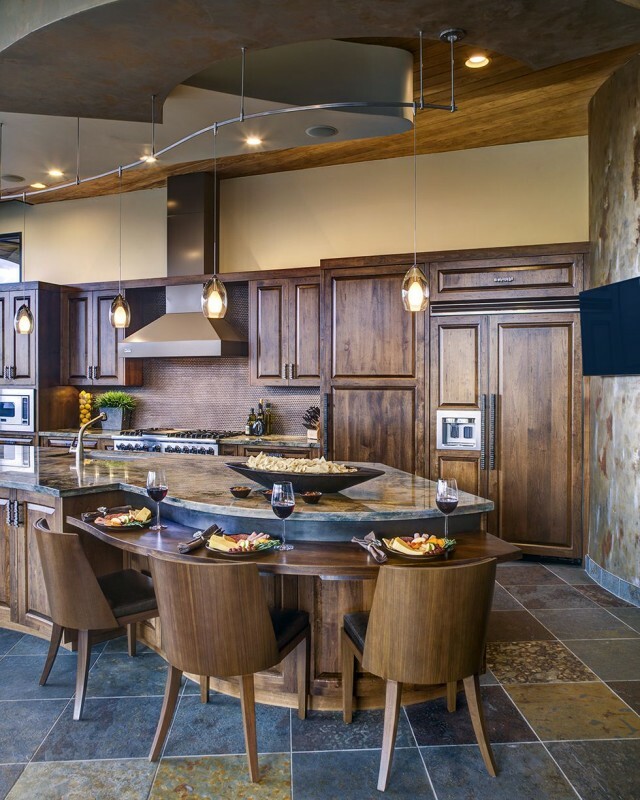 An open-concept kitchen from CM Natural Designs features high ceilings and a range of woods. 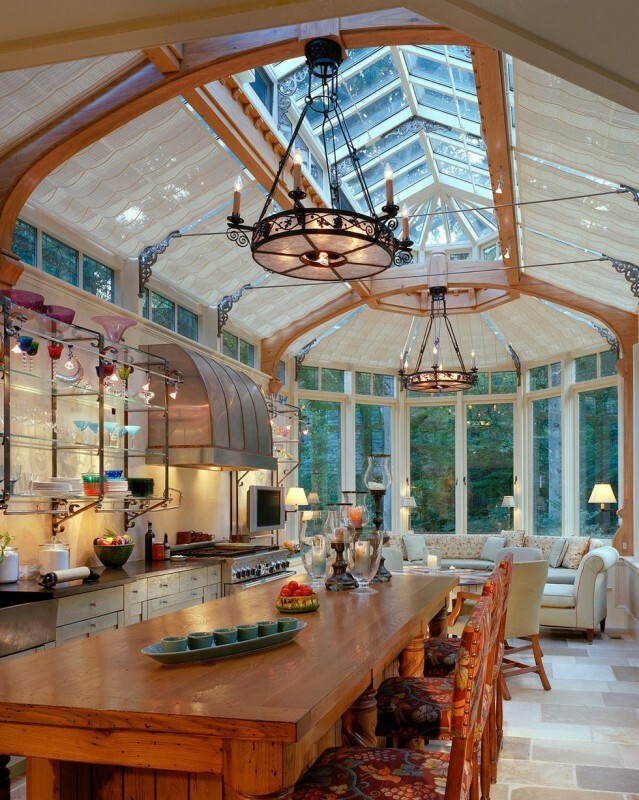 A glass-ceilinged conservatory by Barnes Vanze Architects, Inc. features an inspiring kitchen. 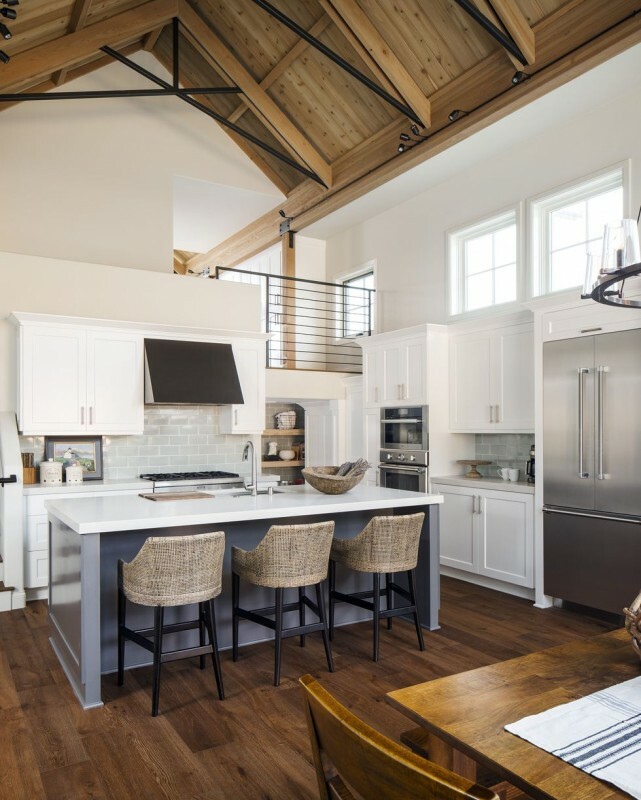 In this spacious kitchen from Tim Barber Ltd., creative accents, including orb lighting, complement interesting architectural details like a vaulted ceiling and skylight. 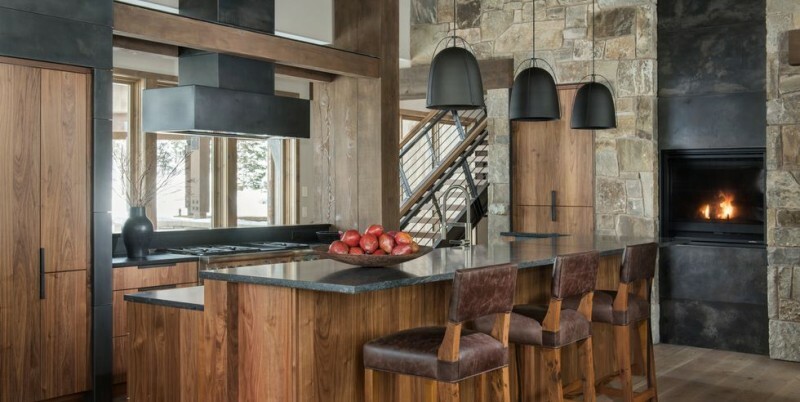 A mountain-style retreat from Peace Design incorporates wood, stone, and metal. 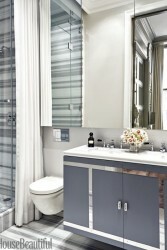 A neutral-toned kitchen by Cindy Witmer Designs features surprising details. 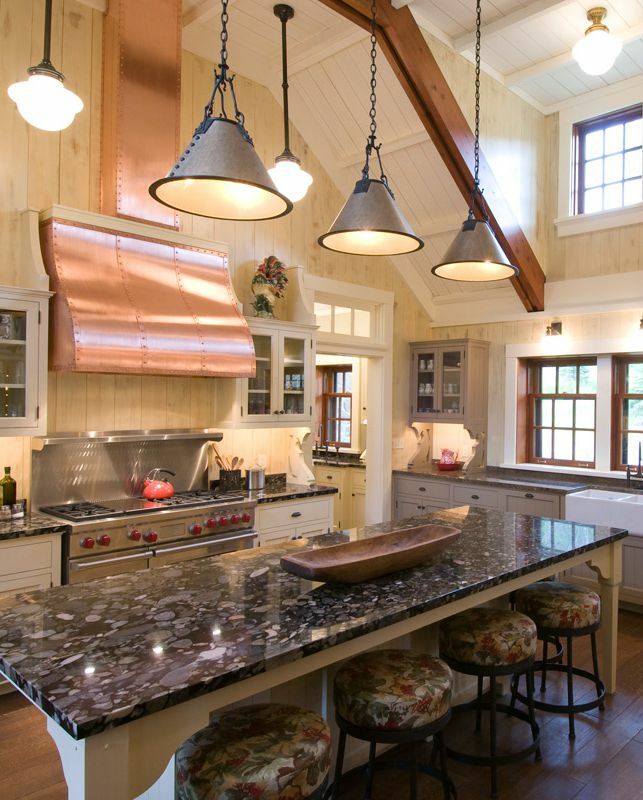 Bright woods create a warm atmosphere in a kitchen from Brown Design Group. 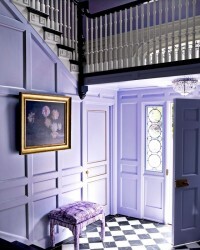 Mismatched woods complement interesting architectural elements in a design by Deborah Leamann Interior Design. 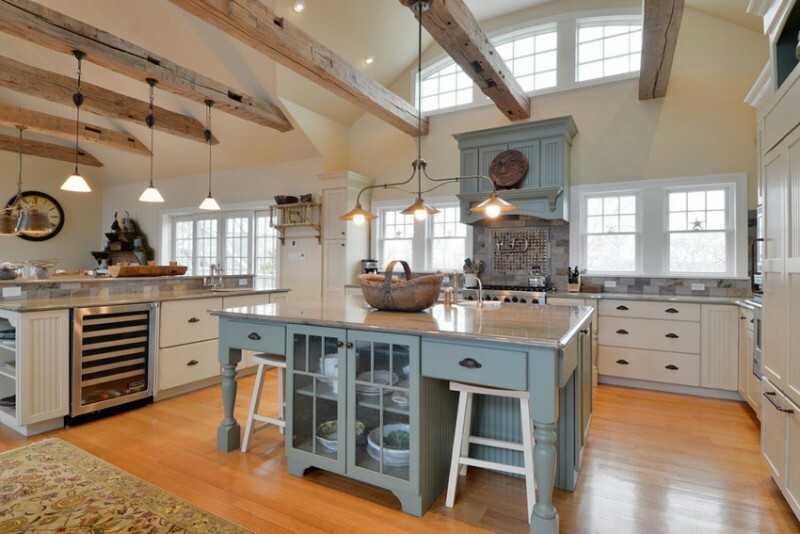 The farmhouse vibes are strong in a kitchen from Haver & Skolnick Architects. 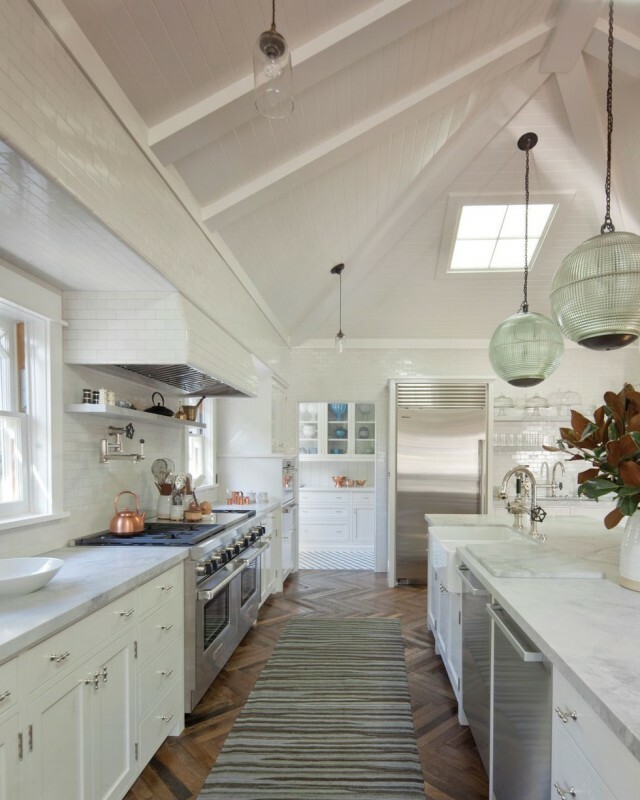 Unconventional pendant lights help to break up the space in a kitchen from studio m interiors - Claudia Martin. 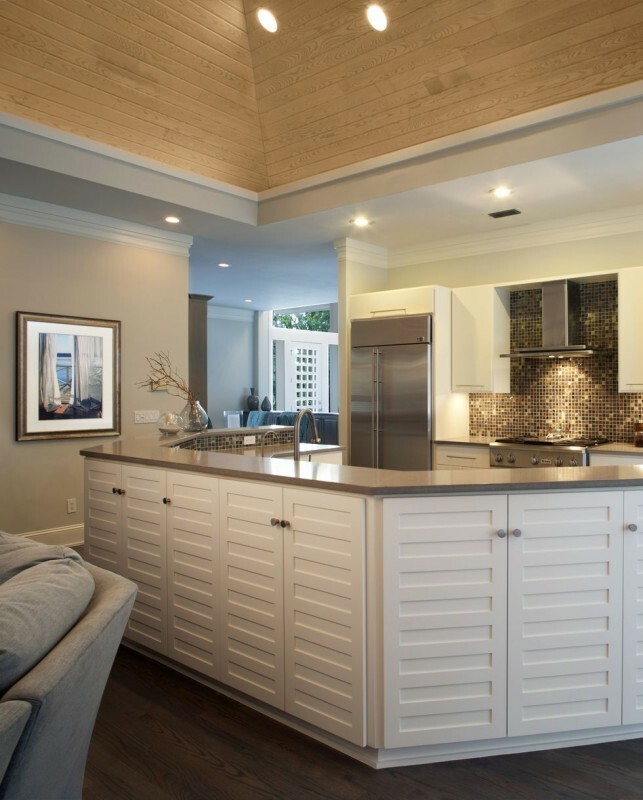 A curved island with a built-in bar is an unexpected addition to a kitchen from Lori Carroll & Associates. 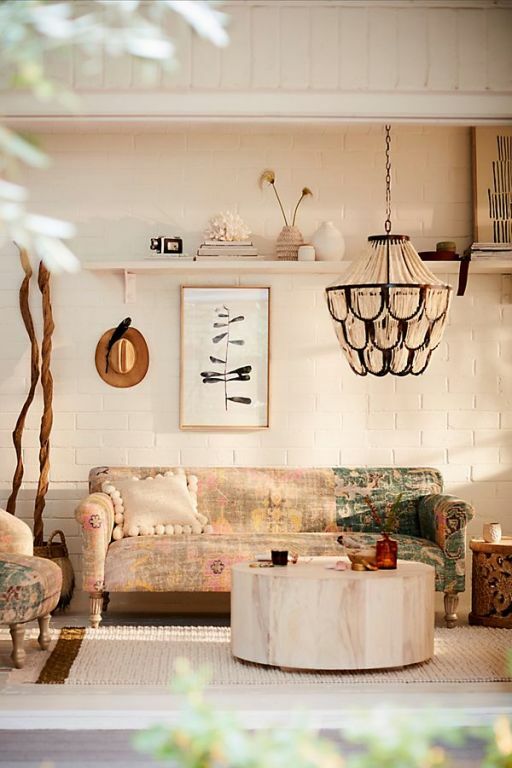 Beautiful hanging lights add elegance to a softly toned space from Kristina Crestin Design. 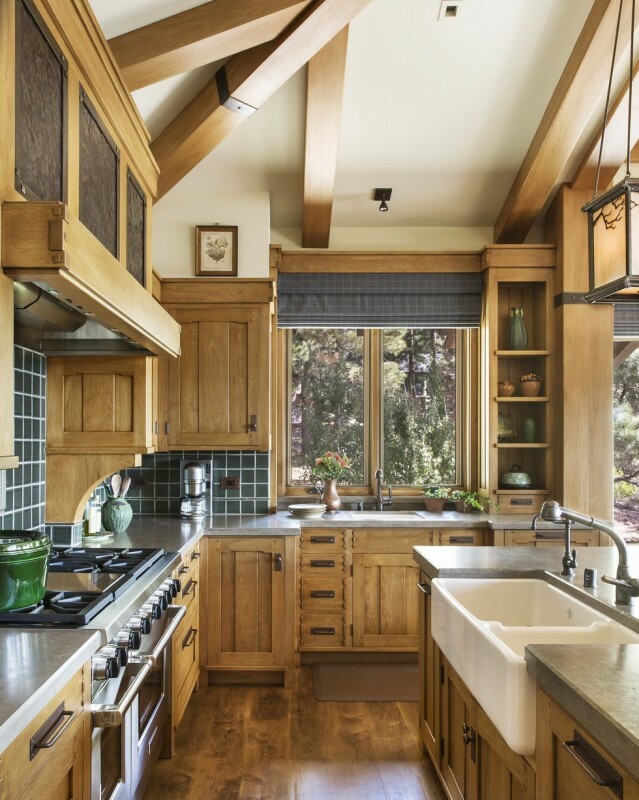 A ranch-style kitchen by Curtis & Windham Architects incorporates high ceilings. 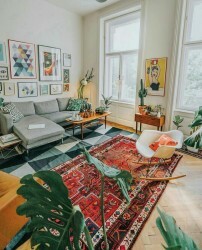 Limestone floors supply radiant heating in a chic kitchen by Sarah Blank Design Studio. 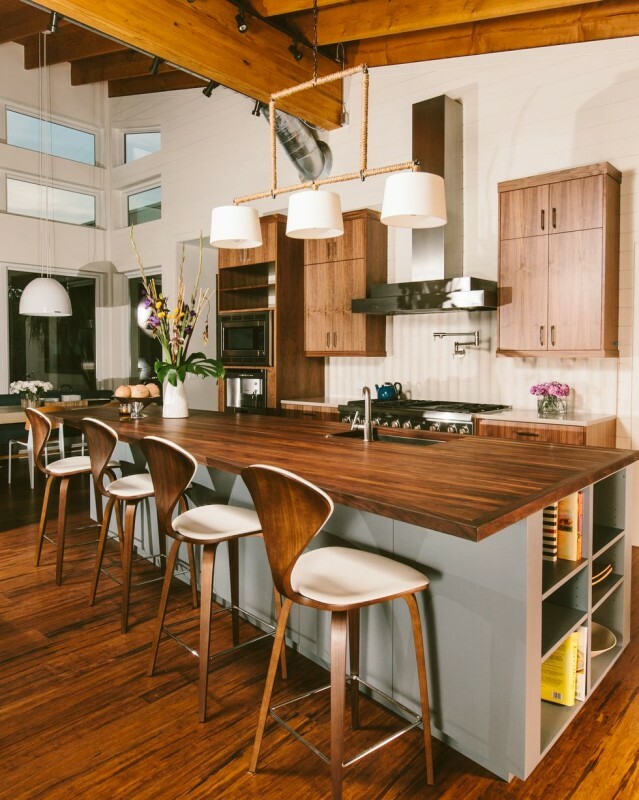 Bamboo wood floors, walnut countertops, and an exposed ceiling combine in a sophisticated kitchen design by Baxter Design Group, Inc. 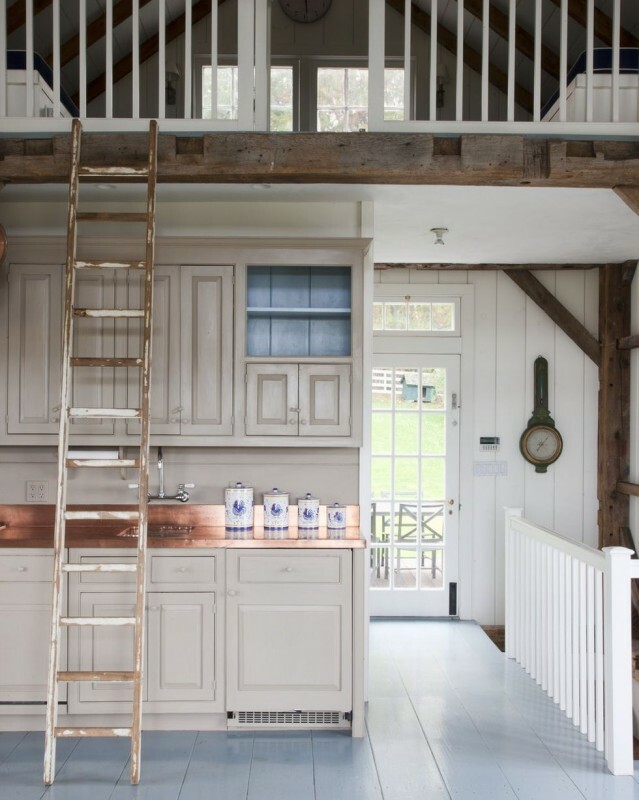 In this kitchen from Stephens Design Group, a ladder adds to a romantic ambience. 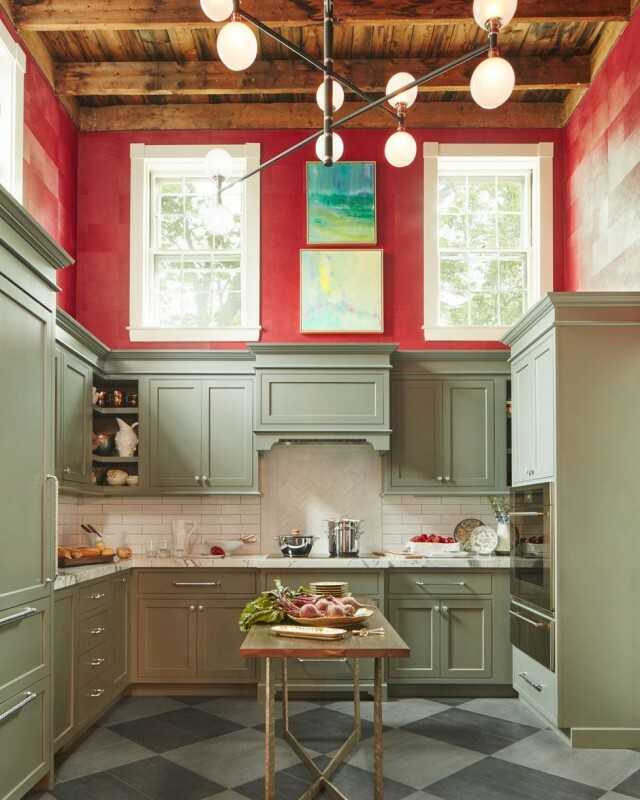 A modern kitchen by Amanda Webster Design, Inc. features high ceilings and a creative tile backsplash.